BITSAT Exam Dates 2019 has been released by the exam conducting authority. BITSAT 2019 will be organized by the Birla Institute of Technology and Science (BITS), Pilani. It is a university level entrance examination. 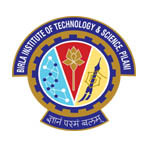 BITSAT, Birla Institute of Technology & Science Admission Test is conducted for providing admissions to the degree courses offered by BITS, Pilani and its associated campuses. Through BITSAT 2019 examination, candidates can get admission in engineering, pharmacy & science courses. In this article we are providing the details about BITSAT 2019 exam dates. BITSAT 2019 notification & exam dates has been released on 5th December 2018. Check here for Application details. The online BITSAT 2019 application form has been started from 5th January 2019. The last date provided by the authority for filling the application form is 31st March 2019. The application forms can only be submitted through online mode. In case candidates wish to make corrections in the filled in application form they can make correction from 22nd March to 1st April 2019. Candidates can start booking their exam slot and test center from 5th to 8th April 2019. The test city is allotted by the authority to the candidates on 3rd April 2019. BITSAT 2019 admit card is available from 12th April to 13th May 2019. The written entrance test will be conducted from third week of 16th – 26th May 2019. BITAT result 2019 will be declared after the successful completion of the entrance exam. Candidates can view their results within few days of written exam through online mode. Candidates those who wish to apply through 12th class percentage, they can apply for admission from 16th May to 18th June 2019 BITSAT admission process will be conducted via online mode. The authority will release the admission list along with waiting list from 20th June 2019. If you have any other queries about BITSAT Exam Dates 2019, you can leave your comments below in the comment box. Can I change my examination centre? Bitsat adimission on basis of 12 standard,can u gice the information? Not without appearing in test. can i write my bitsat exam on 27th may at Hyderabad campus itself as 16th of apr is clashing with some other exam. My bitsat exam date is 17 may. Please tell me approx date of result. Sir, what if I clear BITS but don’t achieve a score of 75% in class 12? Would there be any chance of admission. I was not well during my Boards. No, they will cancel you admission. I missed submitting my option for test centre, can it be done now . Can u tell me how you get your application number and other details for examination?? They have shown that exam dates are only uptil 19 May. Will the dates be extended? It is said that candidates who wish to apply through 12th class percentage can apply for admission. If I want to apply for admission for MSc in math what should be my percentage in xii class. Can I get into BITS with 54% in class 12,and what can i do to get? The application fee will be Rs. 2450/- for female candidates and Rs. 2950/- for other candidates. Sir for BE and MSc seperate application. It is only through online mode. What is the fee for form apply?